You need a live streaming platform that’s easy, secure, and fully equipped to grow with your company. 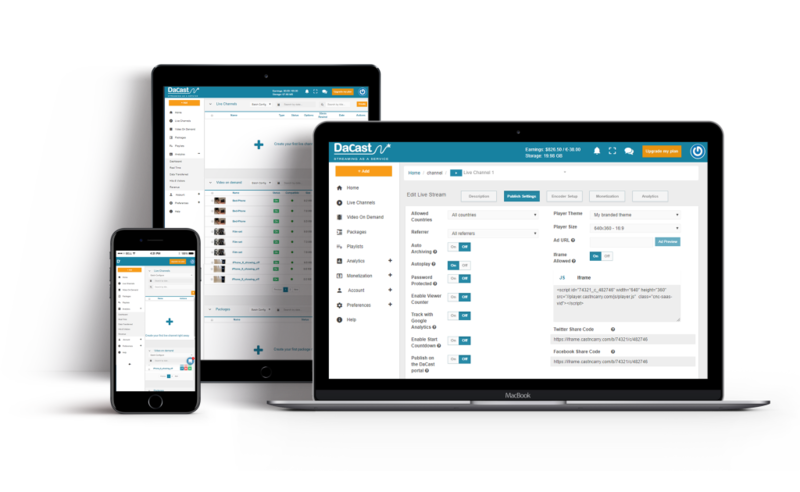 At DaCast, we take care of all of this so you can focus on growing your business. Stream live video via Akamai CDN, the largest in the world. Enjoy 24/7 live video streaming with full scalability and compatibility. 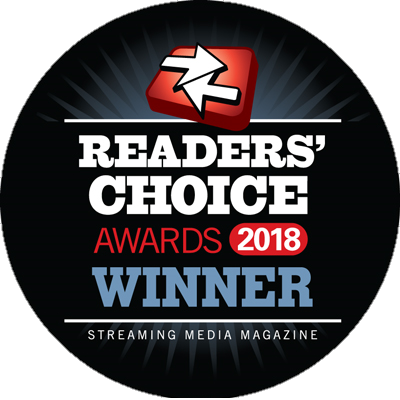 Announcing DaCast as a Winner of the 2018 Streaming Media Readers’ Choice Awards for Best Video Platform for Small/Medium Businesses. Get access to an end-to-end low latency live streaming solution with 10 second latency or less, including a free direct HLS software encoder.  Skyrocket your audience by sharing your live events across all social media networks. 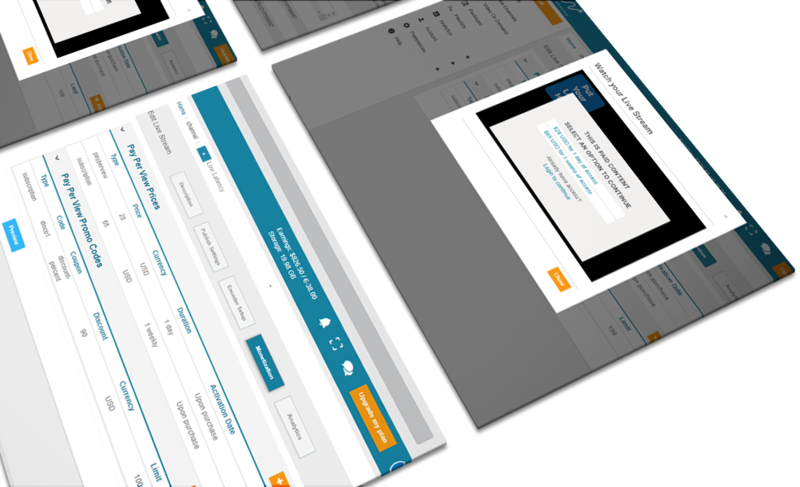 Track and optimize the performance of your video content in real time. Build audience excitement and ensure your viewers won’t miss the big event. Embed your live streams anywhere with no restrictions. Use your own branding and control where your video content can be accessed. 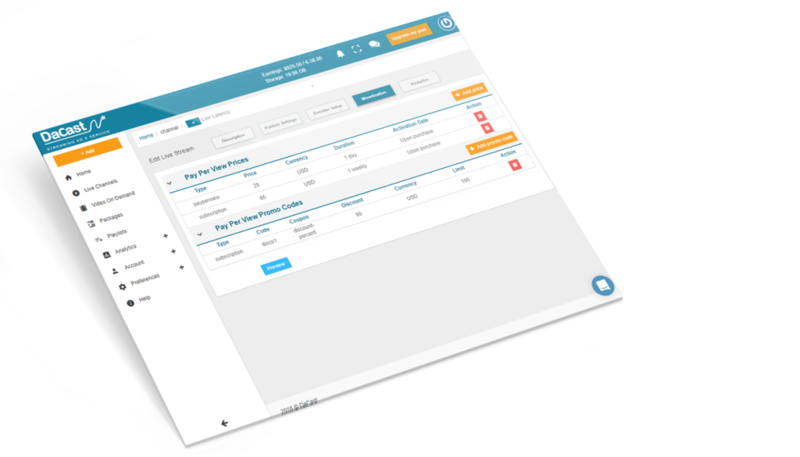 Start generating revenue instantly with ads or our built-in paywall. Use pay-per-view, subscriptions, or both. Take payments via credit card or PayPal.